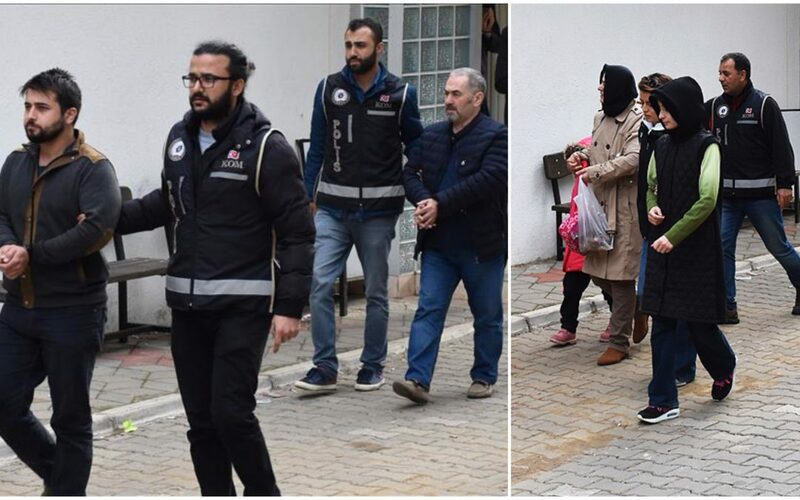 Nine people were detained in Turkey’s western province of Mugla while they were on their way to escape to the Greece, state-run Anadolu news agency reported on Nov 4. Anadolu said the detainees had outstanding arrest warrants, earlier issued over their alleged use of ByLock. Police in Mugla’s resort district of Marmaris rounded up the suspects while they were hiding in two cars and at a rural area between Söğüt and Bozburun neighbourhoods before they ventured to an illegal departure to a nearby Greek island. Four fake IDs and some money seized during the operation. Anadolu said the detainees were earlier removed from their jobs as public servants as part of the government’s post-coup crackdown against Gulenists.